A whistleblowing helpline for NHS Scotland is facing criticism following a steep decline in calls. A new report has found that calls to the confidential “alert line” have fallen by 75% since it was set up two years ago. Critics claim the service is “completely toothless” and staff are too frightened to raise concerns. The Scottish government said it was part of a wider package of measures to support NHS staff. They said potential whistleblowers should have the confidence to speak up without fear and know genuine concerns would be investigated properly. Public Concern at Work (PCaW), an independent charity, has been paid more than £50,000 to run the alert line for NHS Scotland since April 2014. The service was initially launched as a pilot and during its first six months it received73 calls from concerned health workers. But, in a new review for the Scottish government, the charity revealed just 18 whistleblowers called the helpline during the six months to 31 January 2016. One caller said they were dismissed from their job for raising a concern. 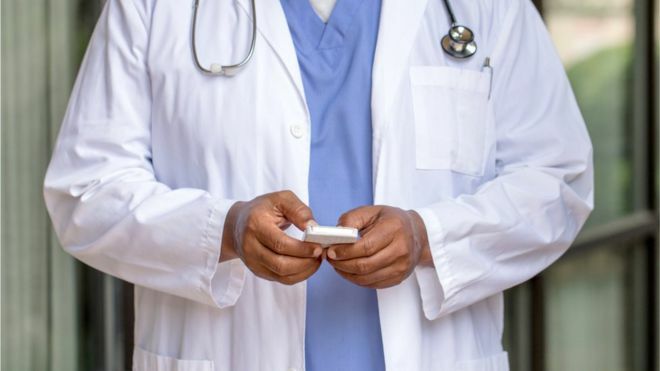 The data has raised further fears that some health workers are reluctant to raise concerns about unsafe working practices. 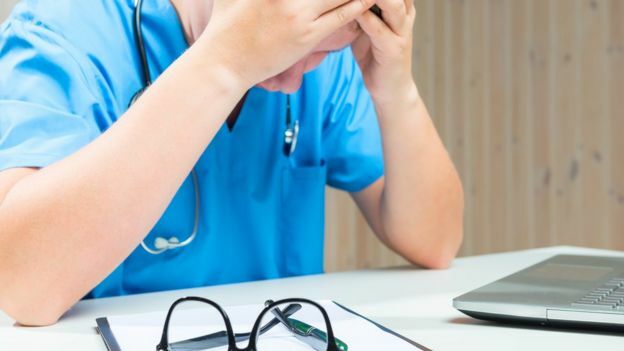 Earlier this year, an NHS staff survey revealed 24% of employees did not believe it was safe to challenge “quality, negligence or wrongdoing” by staff. And last month, NHS Scotland’s chief executive, Paul Gray, admitted some staff fear being victimised for speaking out. Whistleblowers have told BBC Scotland the advice line generally refers them back to the organisation they are complaining about. That means the service is “of no value at all” and “completely toothless”, according to Dr Jane Hamilton. The consultant perinatal psychiatrist said she used it to voice fears over safety at NHS Lothian after “exhausting” her options with the health board. The campaigner, who no longer works for the NHS in Scotland, called for the establishment of an wholly independent service with investigatory powers. “The bottom line is if it’s not independent and it has no powers, no statutory powers to investigate, then how can it be of any use at all?” she said. Twelve callers turned to the alert line after first raising their concerns with managers, suggesting they had confidence in internal whistleblowing procedures, according to the PCaW report. However, the report said there was a general trend of callers indicating their concerns had been ignored or have experienced victimisation. Advisers suggested whistleblowers escalate their concerns with senior managers, the board or Healthcare Improvement Scotland. Another campaigner, Peter Gregson, has lodged a petition with the Scottish Parliament, calling for the helpline to be replaced with an independent “hotline”. Under his proposals, reports of negligence, malpractice and bullying would be referred directly to local NHS boards by the hotline provider. The plan has won the support of a number of people in the medical profession. Cathy James, chief executive of Public Concern at Work, said: “PCaW run a free legal advice service for any worker in the UK who has witnessed malpractice and is unsure what to do. “The service commissioned by NHS Scotland is substantially different to the one suggested by the petitioner. We believe that an investigatory service aimed at whistleblowing cases across the NHS could make a real difference to the experience of those raising concerns in the health sector, but this is not the service we provide to NHS Scotland or in any event. She added: “Our service receives outstanding feedback from those who use it and it is incredibly valuable to have access to truly independent advice, but we cannot remove the risk of a negative response entirely – the real power here lies with the health boards and the regulators. Health Secretary Shona Robison, said: “All staff should have the confidence to speak up without fear and with the knowledge that any genuine concern will be treated seriously and investigated properly. “The NHS confidential alert line provides a safe place where they can confidentially raise any concerns they may have about malpractice and wrongdoing in NHS Scotland. “Increasingly, callers have raised their concern internally first, which may suggest staff feel more confident using internal procedures. “The alert line sits alongside the wider package of measures we have developed over the past few years to support NHS staff.